I’m currently on the train from Sevilla to Barcelona and just wanted to pop in with a quick hello from Spain! This trip has truly been incredible so far and I can’t even tell you in words how full my heart is right now. It’s always amazing to check a dream destination off your bucket list, but when you do it on your own it just elevates that feeling even more. I have been getting the sweetest messages on Instagram about all of the insta stories that I posted so far. I’ve loved sharing every moment of the experience with you guys and I am so happy that you’re enjoying it all. It actually makes me feel like I’m not here alone and that you’re all with me! Thank you for letting me share this with you and for being so supportive of my solo travels. So I wanted to get a little candid with you guys and share some of the not so fun part of solo travel or just travel in general. My trip did not exactly start off on the right foot. I got a really bad cold a few days before I left and it got even worse on the flight to Madrid. When I landed, it was much colder than expected with rain for the first two days, so that made my cough and congestion even worse. I didn’t exactly pack for rain and cold so I had to buy a few things at the store and I ended up going to one of the farmacias to get some medicine. (Couldina) Thankfully that started to help! I’m still super jet lagged and have probably only slept 4-5 hours each night. I am in desperate need of a good night’s rest, but I just keep trekking along! I’ve walked a countless amount of miles so far and my feet literally HATE me. They don’t look cute right now. They actually got a little swollen the other day. The heat in Sevilla (90 degrees) caused some major chub rub lol. My thighs hate me now too. I got lost, a lot, in Sevilla. It was much harder for me to navigate those streets. While I do understand Spanish and speak a little bit, it’s still been a bit difficult for me to communicate at times. I’ve been lugging around this heavy suitcase from airport to hotels to train stations all on my own and it’s a struggle. I’m not complaining at all really because I’m in SPAIN!! But, I just wanted to share some of what really goes down when traveling because it’s not fun every second of every day. All of these challenges do make the experience that much more meaningful and memorable though. I’m really just so thankful to be here immersed in this beautiful culture. I will be in Barcelona in a few hours and I’m looking forward to exploring another area of Spain for the next 5 days. I will continue to share it all with you guys so make sure you keep checking in with my insta stories since they disappear in 24 hours! I’m so in love with it here and I know that I will be very sad when it’s time to go. That just means I’ll have to come back. Spain has quickly become a top contender as a country for me to teach English in, in the near future. Who knows what will happen! Ok, that’s all for now. I can’t wait to share travel diaries and tons of photos on each city. Hasta la proxima vez! I am truly proud of you! 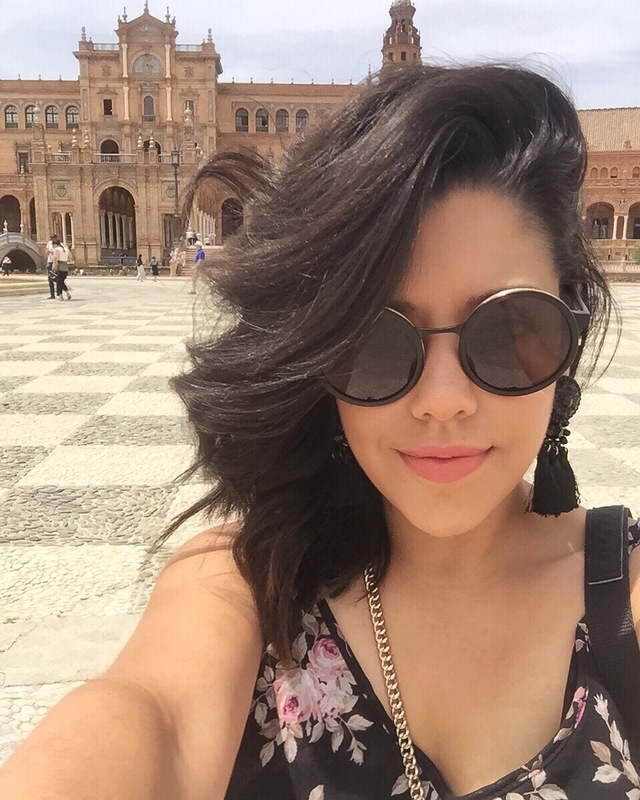 You are having an amazing time sharing your experience in Spain. Thank you for bringing Spain to me. I love everything that you have posted. It is a whole new world! I cannot wait to see you back home so you can tell me in detail everything you did. I love you sweetheart! May God bless you and protect you! My brother just got back from Spain and he got lost in Sevilla. The streets are narrow and all you see is the walls of the buildings. He took a video and it was funny because he looks this way and that way and he is like Ughh..and he treks along. It like 3 different paths he had to choose. Anyway he loved it. I am hoping to move there one day. I feel like I belong there. It’s my motherland. Awesome to hear about your travels to Spain. I hope to one day be brave enough to travel solo! I’ve recently found that there are times when traveling is exhausting and irritating, but it makes the great moments that much more enjoyable.